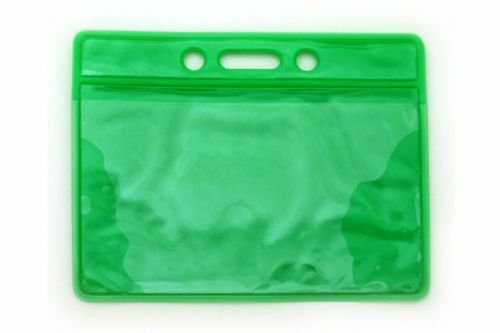 These vinyl holders with solid colored backs come in a range of colors and feature slot and chain holes for easy attachment to lanyard or chain. Use these solid colored back- data/credit card size holders to color code groups for quick identification. They come in five different colors and feature slot and chain holes for easy attachment to lanyard or chain.